On a beautiful spring evening at St. Patrick High School, nine coast Catholic elementary schools lined up to compete in the annual Nativity track meet. OLF Elementary sent a full squad of athletes to compete in the various track and field events including relays, dashes, long jumps, and softball throws. 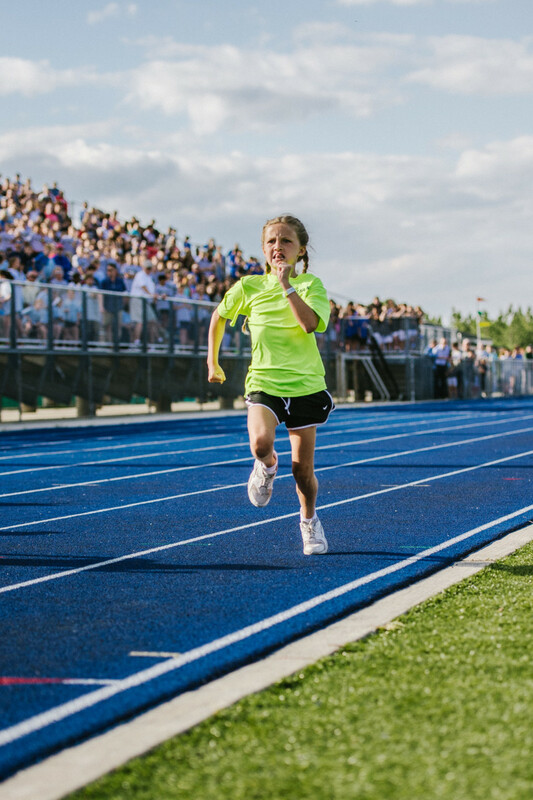 Emerson Yelverton, a 4th grader at OLF Elementary, set a new record in the 50-yard dash for her grade breaking the previous record set in 1992.